Headquartered in Vancouver, Canada with offices in Chile and China, the company was founded in 1997 on the premise that there had to be a more sustainable way of treating acid mine water than conventional lime treatment. This belief led to the development of the BioSulphide® process for water treatment, a sulphide precipitation technology that neutralizes acidic water with concurrent selective recovery of dissolved metals with appreciable value. In 2001, the company secured its first commercial contract at a zinc mine in New Brunswick. Several larger mining companies took notice of the BioSulphide® plant, leading to further contracts with top mining companies, utility operators and regulators at sites in Canada, the US, Mexico, Australia, Turkey and China. BQE Water continues to innovate and add to its portfolio of technologies to now include ChemSulphide®, Met-IX™, Sulf-IX™, Sulf-IXC™ and Selen-IX™. These technologies have been developed in response to the evolving regulatory environment and its increasingly strict discharge limits for constituents in mine water, the addition of new constituents to be regulated, and the need for mining companies to meet these regulations in an effective and cost-efficient manner. Peter brings over 30 years of experience in executive management, investment fund analysis and board advisory roles in the technology and mining sectors. 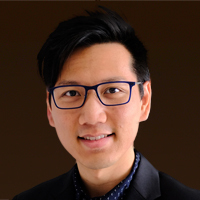 With specialization in corporate finance and contract negotiation, Peter has been involved in the start-up and growth of several junior mining firms including PGM Ventures which became Iberian Minerals Corporation. Throughout his career, Peter has helped small to medium sized companies achieve their growth objectives while delivering value to shareholders. Clem is a process chemist/metallurgist by training with 14 years of environmental industry experience with Inco (Vale Inco) and subsequently with US Borax (Rio Tinto) and Utah International (BHP Billiton). 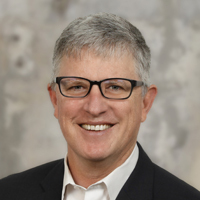 In 1981, he founded Rescan Environmental Services, a firm providing environmental services to the global metal and mining industry, now part of ERM. A Fellow of the Canadian Institution of Mining and Metallurgy (CIM), Clem has been recognized with a CIM Proficiency Medal for environmental contributions to the mining and minerals industry. 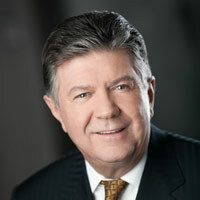 Clem is also currently serving as a Director on the Board for Goldcorp. Chris received his PhD in Chemistry from the University of Cape Town and has spent much of his 40 year career in research and research management. 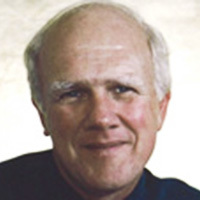 He has authored or co-authored 70 technical publications, been awarded 14 patents and contributed to several books on various aspects of extractive metallurgy. 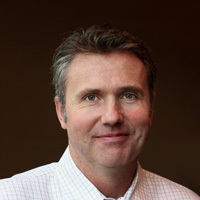 Chris joined Lakefield Research in 1990, becoming GM in 1992 and VP and COO when the company privatized in 1995 after a buyout from former owner Falconbridge. After SGS acquired Lakefield Research, Chris became the VP, Global Metallurgy, responsible for the company’s world-wide metallurgical business. Chris has retired from SGS management but continues in the role of Senior Metallurgist. Rob is a global mining industry leader with international experience in operating, building and acquiring mineral properties. At present, he is the CEO at Amerigo Resources, a copper producer with holdings in Chile. A chemical engineer by training, Rob has close to 30 years of experience in the mining industry. In addition to his current role, he has worked in mine operations for Kinross Gold, Rand Mines and DeBeers as well as provided engineering services to international mining clients while with SNC Lavalin and Hatch. 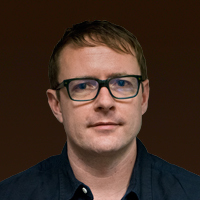 David rejoined the company in March 2014. He previously held the positions President & CTO and President & COO. 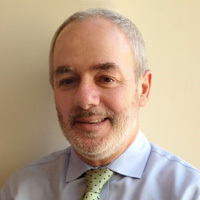 Since first joining the company in 2001, David has been instrumental in the commercial development of BQE Water's process technologies and has overseen plant design, engineering and operations. David received his PhD from the Faculty of Chemical Engineering, BioEngineering from McGill University in Montreal and has 20+ years experience in wastewater treatment and chemical processing. Heman oversees financial management, internal controls, financial reporting, investor relations and corporate administration for the company. He has 10 years of experience in both private and public companies in the environmental sector. Heman is a member of the Chartered Professional Accountants of British Columbia and received his Bachelor of Business Administration from Simon Fraser University. Jon is responsible for management of the engineering team and project execution. A registered Professional Engineer in BC, Jon holds a degree in Mechanical Engineering and has over 10 years of experience in the oil sands, gas processing, power generation and mining industries. 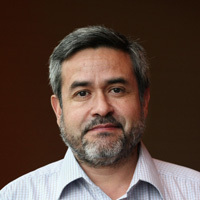 Oscar is responsible for BQE Water's business development and project management activities in Chile and South America. Oscar is a Chemical Engineer with 20+ years experience in the chemical and metallurgical industry. Songlin is responsible for the company’s operations and development projects in China. 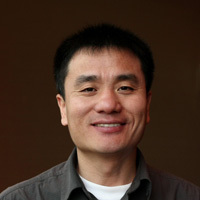 Songlin holds degrees in Environmental Engineering from universities in Canada and China, and has 20+ years experience in the environmental field. We target projects where our technologies can bring considerable value to our customer. Through careful selection of business partners, we will form long-term partnerships rather than vendor-purchaser exchanges centred on individual transactions. We will develop projects where our solutions deliver lower life cycle costs for water treatment, comply with increasingly strict discharge regulations and provide process efficiencies to support water conservation. As new environmental regulations open up the need for new water treatment solutions, we will continue to focus on accelerating the development of innovative process technologies to offer more technically robust and financially attractive solutions to what is currently available. Our continued focus on strategic innovation is to provide sustainable water treatment technologies to meet the ever changing needs of our customers. Leading international manufacturer and supplier of ion exchange resins used for water treatment. Industrial waste management company wholly owned by Chile’s largest copper producer. We are always interested in hearing from talented people. If you are interested in joining our team and feel your expertise and values align with what we are doing, we invite you to introduce yourself. Please send a cover letter and resume (PDF less than 5 MB) telling us about yourself to hr@bqewater.com.